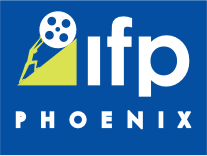 By Lisa Minzey of The Reel Critic.com Hey Phoenix Film Fans! Just in time for Valentine's Day is the new release, "Safe Haven" based on the novel by Nicholas Sparks, starring Josh Duhamel, Julianne Hough and Cobie Smulders. To date the most beloved films out of the Spark's collection has been "The Notebook (2004), so fans may want to know how does this compare in the romance/ chemistry department?" Dashing off in the wee hours of the morning "Katie" (Julianne Hough) is a woman on the lam. It's not quite clear why she's running from Boston Police Officer Tierney (David Lyons), but it’s looking like first degree murder. Or so says Office Tierney. Katie, a.k.a. Erin evaded the authorities and took a bus headed towards Atlanta. At a pit spots in the small coastal ton of Southport, NC. Katie, going by a gut feeling, decides to stay in the small town and start her life over. After finding employment and a place to stay, she starts to get to know some of the locals. Her neighbor Jo (Cobie Smulders) is the closest person (vicinity-wise) to Katie who usually tries to keep to herself. The local general store owner Alex (Josh Duhamel) and his daughter Lexie (Mimi Kirkland) have taken a fancy to the elusive Katie. Guarded as she may be, she slowly starts to let Alex and his kids into her life, but still remains a mystery, especially to Alex. As with all Nicholas Sparks’s stories, the mysterious pasts and secrets never remain quiet, especially in a small town such as Southport. Officer Tierney all this time has been search for his wife Erin Tierney, framing her by putting out an A.p.b. wanted for 1st degree murder. Alex is best friend with a local police office so when he sees Katie/Erin’s pretty face on a wanted flyer, he tells her to leave; leave him aloe, leave town, basically get as far away as she possibly can. Katie is crushed as she was falling for Alex and his kids, but the terror of seeing her ex-husband is enough for Katie to make a quick getaway. Will Alex come to regret his hasty decision of leaving Katie before she had a chance to explain? Will Katie be able to start again in a new town or will the ghosts of her past keep her on the run for the rest of her life? As a general fan of the book by Nicholas Sparks, the translation between book and screen got lost in translation. Although the film is based on the Nicholas Sparks’ book, so many of the details of the characters did not carry over from the book; which lost some of its charm and appeal in the film. The movie is decent, but it’s one dimensional and the problem lies within the script. The actors did a good job of trying to create the essence of Katie and Alex, but the small details left on the pages were changed for the film. For example, in the book, Alex is ex-military and runs his deceased wife’s family store. In the film, the store was his family’s store and no military background; just settled there after getting pregnant. Alex being ex-military was a huge plot point in the book and made so much more sense than what was presented in the film. Julianne Hough and Josh Duhamel had terrific chemistry on screen which helped the film immensely, but not enough to make the story better. You be the judge when “Safe Haven” opens in theaters starting Thursday February 14, 2013.